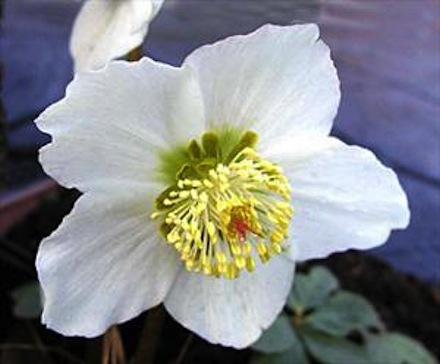 Complement your evergreen planting with wonderful winter-flowering Christmas rose (Helleborus niger). Flowers now are just so welcome. Growing in small clumps, these delightful perennials produce charming white or pink-flushed blooms. The five- petalled saucer shaped flowers are beautiful and contrast well with the green or yellow centres. Helleborus niger grows to a height of around 30cm and a spread of about 45cm. ‘Alabaster’ bears lovely flowers too, creamy white and confident. They are on the big side for Christmas rose, reaching up to 7cm across. These plants are often found in a woodland setting so positioning them in a planting combination with Picea is ideal. An evergreen perennial producing leathery dark green, divided leaves. Large saucer-shaped white, greenish cream, pinks, maroons and reds. Height approx 45cm. Spread approx 45cm. Flowers January to April. Hellebores are excellent for providing winter colour.